SIPNET can make calls from PC and mobile devices, via Internet or through cellular communication. The service is based on Callback technology. The essence of technology is: to connect you and the one you are calling, it creates a compound that is called "two-arm", while SIPNET server initiates two successive calls (or more in the case of a conference call), and then combines them into a single dialog. To start such a call, you have to order the connection - in this case, fill in the form on the service page in your Perosnal Office. In the form, you must specify your phone number, and phone numbers of subscribers with whom you should be connected. Use the service you can in the Personal Office in the appropriate section. 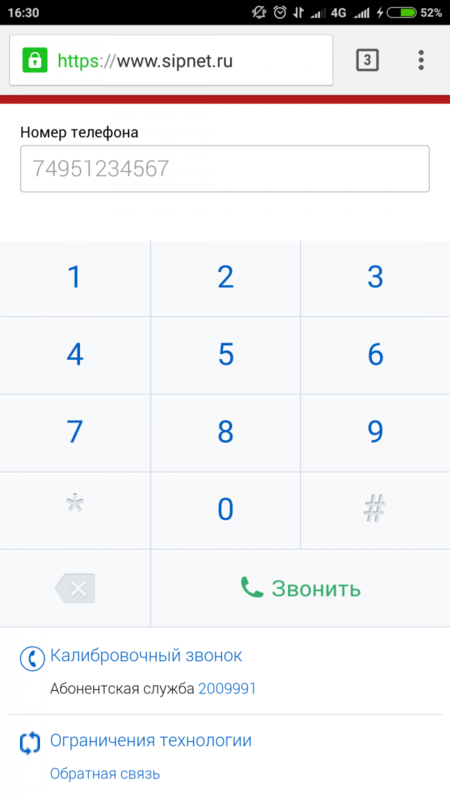 During a call you can control the cost of the current call; Immediately after the connection in the form below opens a bookmark "Current Connection", where will be displayed statistics of the current call and its cost. More information about the service is located in a private office, on the «Web Callback» service page. The service is based on callback technology(Callback). For the SMS Callback, send an SMS message to +79037976104 indicating the phone number you wish to call. For the conference callback send a SMS to the number +79037976104 and in SMS enter the word "multi" and a few numbers of participants. No need to install special software and applications. With connected service «Caller ID(ANI)» incoming call to your family, partners or friends will go from your phone number, even if you use the "tourist" SIM-card. Later on this number, you can be called by an ordinary telephone. Life-hack: do not recommend using your mobile number while roaming. Instead, use a local or international ("tourist») SIM-card with free incoming calls in the host country. Calculate the preliminary cost of the call, you can on the «SMS Callback» service page. On page «Conference Call» is located more detailed information about the SMS-callback of a conference call. Go through a quick registration in the application. Enter the number to call. What are the NetCall advantages? Incoming calls to your family, partners or friends come from your phone number. By PC through the Sippoint Internet-phone or other software Internet phones. For communication you will need: Broadband internet connection, including 3G, 4G or other cellular Internet communication; microphone; web-camera.. 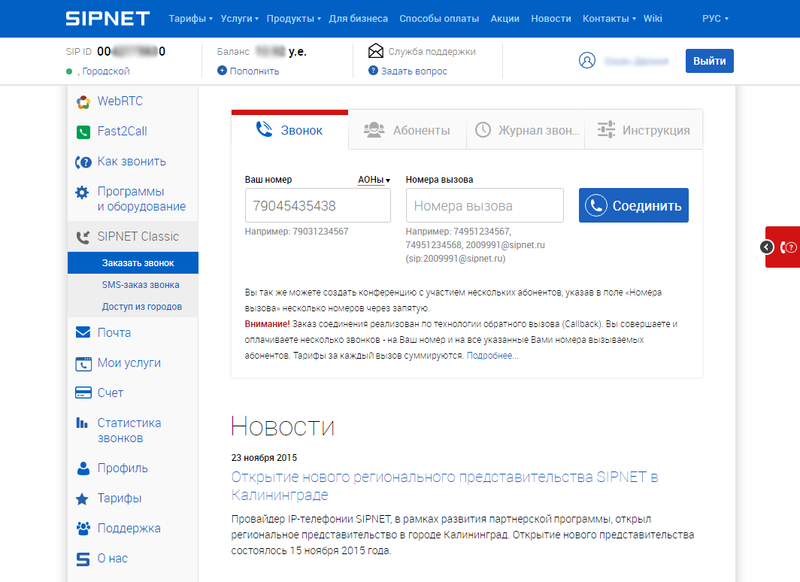 Instant messaging with other users SIPNET. The option of secure (encrypted) SRTP call. You can read the detailed description of the settings and options of "Sippoint", if it is required. You can find on the page the analogues of Sippoint if you are working on a computer with Mac OS or Linux operating system. Comparative table of softphone features are given in SIPNET Wikipedia. 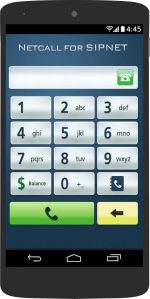 What other applications exists for making calls over SIPNET by mobile devices? 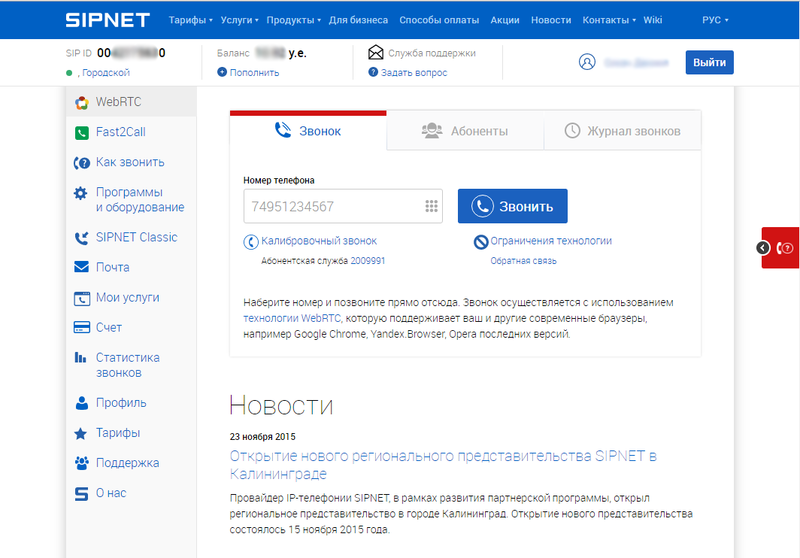 You can learn at SIPNET Wikipedia on «Programs for Mobile Devices» page about other special applications (VoIP-client) for mobile devices. They allow calling to other cities at low rates of Internet telephony. Information about configurations of VoIP-client is also located on Wikipedia. The service is based on technology basis of WebRTC (Web Real-Time Communication) and provides the ability to make calls to fixed numbers and numbers of mobile operators directly by the browser in the same way as if you call from your mobile phone. Take advantage of service you can at Personal Office in the appropriate section. From mobile phone, call is available on each page of both a Personal Office and a website. When you connect the service "Caller ID(ANI)" incoming call to your family, partners or friends will go from your phone number. Easy to use - specify the phone number and start to communicate. More information about the service, learn about the features and limitations of WebRTC technology you can on the page of service «Call from the browser».